Do Executive Relocation Packages Help Recruiting Efforts? Does Your Company’s Executive Relocation Package Help Or Hinder Your Recruiting Efforts? During the recent years of economic upheaval, most especially in the housing market, many companies have had to re-adjust their policies on employee relocation. In many cases, companies had to dramatically reduce the number of employees they were willing and able to relocate, or offering minimal relocation packages for all but the most specialized employees and executives. In a housing market where so many homeowners were upside-down, employers either had to absorb the higher costs of offering premium relocation services like loss-on-sale or guaranteed buy-out (GBO) benefits, or they had to risk losing good employees and candidates by offering less desirable packages like lump-sum moving expenses, which leave employees to deal with the sale of a home and all of the details of moving on their own. Nationwide, the housing market is well on its way to recovery, and here in Milwaukee, we’ve got one of the healthiest housing markets in the country. That means both housing prices and rents are up, interest rates are steadily rising, and job candidates have different priorities for relocation. As the number of homeowners who are upside-down declines, loss-on-sale clauses are not the deal-breakers they once were, and employers will pay less for them through a relocation company than they did at the bottom of the market. The job market is also improving steadily, which means companies have to start working harder to attract and retain good employees, especially at the top end of the spectrum. Re-evaluating your company’s offered benefits, like relocation, in a timely manner can help you save money that could be lost in employee turn-over, and will help you to attract the best of the best when you’re hiring. This transitional time offers your company the opportunity to fine-tune your benefits packages to reflect the current market demands and expectations, and to look for wasted expenditures on benefits that are no longer on the top of prospective candidates’ lists. Reduce Or Eliminate Temporary Housing – When rents were lower, it made good sense for companies to place relocating employees in temporary housing for up to a year while they searched for permanent homes. As rents are rising significantly, though, your company may find other avenues more economical and, ultimately, more satisfactory for your employees. Consider offering a streamlined house-tour trip for a new executive placement, rather than temporary housing. This allows the executive and family to begin the process of purchasing a local home immediately. Offering incentives like down payment assistance, closing cost re-imbursement, and interest-rate buy-down can result in getting your new executive settled in and focused on work more quickly, and may be offset by your company’s savings in temporary housing costs. Take A Broad Approach – Realize that when you relocate an employee, you’re not just moving one person’s job location. You’re moving that person’s entire life, and if he or she has a family, you’re also moving all of those people’s lives, as well. One key to employee retention is creating an environment where your employees feel that your company cares about them as individuals. Consider “concierge-style” services for relocating executives: Services like helping them schedule tours and interviews for their kids’ schools; introducing the spouse to an appropriate recruiter if he or she needs to find new employment as a result of the move; and even simple things like providing a list of how to contact the local utility companies to set up service, good hair stylists and barbers in the area, and other life-basics. Professional Relocation Service – When it comes to executive placement, your search will probably extend regionally, if not nationally, in order to find the perfect fit for your company. 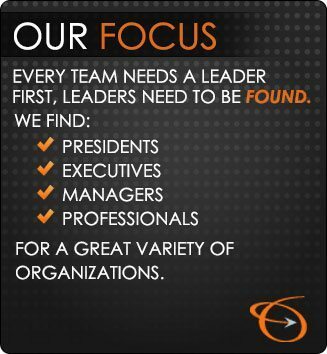 The Lawler Group will not only find the right executive for your company, but we’ll help you determine what relocation benefits you should consider offering in order to be competitive, and we can help you choose the right professional relocation service to coordinate everything you need to help your new executive transition smoothly into a new life.